At this point, Dead Cells has pretty much cemented itself as a must-play game, in spite of being an Early Access title, based on user reviews on Steam. That last bit is about to change though, but before that happens, I suspect we’ll see a lot of mods for the deadly 2D roguelike/metroidvania. I mean, it did get modding support fairly recently after all. Oh, you didn’t know? Well now you do! It’s come a long way since the early days (read: Greenlight) too, and come August, it’ll be ‘complete’. As in, the fabled 1.0 will have been reached – I suspect there’ll still be plenty additions down the road, maybe even some premium DLC. Anyway, mod support! While it was added to the game yesterday, keep in mind that this feature is by no means complete (much like the game, ya know?). Functional, sure. Fun to mess around with, no doubt. But to quote the developer, “you will be able to tweak some gameplay and cosmetic stuff”. That’s it for now, and hey, it’s a start. In case that, for some reason, doesn’t tickle your fancy… how about some penguin love? Or maybe an apple? 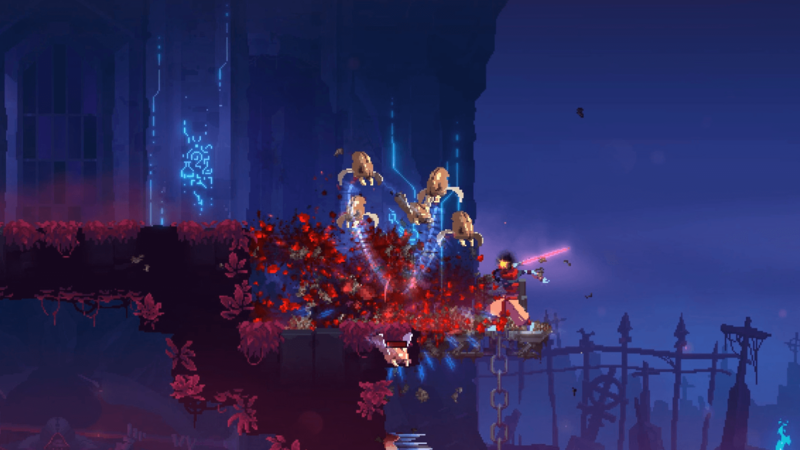 Okay fine, I’ll stop talking in riddles: Dead Cells finally has Mac and Linux support, meaning you can forget about making them OS related excuses. No more of that. Oh, and you’ll probably want to grab the game during its rather lovely summer sale discount if you’re interested, as it’s down a significant 40%… and the price tag will go up by $5 once this particular seasonal sale ends. Just saying. Now get to slaying! Dead Cells [Early Access] is available on Steam, carrying a $19.99 price tag.